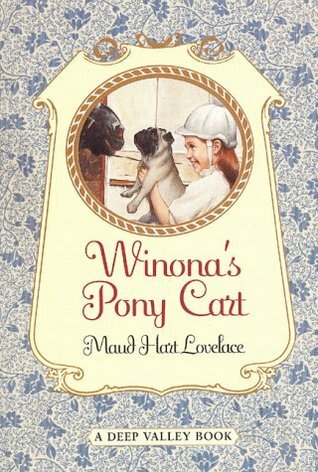 Winona's Pony Cart is not my favorite Lovelace story. I'll just tell you that straight up. But, in the new Harper Collins reprints of Lovelace's works, Winona's story is combined with Carney's House Party into one volume so I own both stories, regardless. Winona's Pony Cart is written with a younger audience in mind. Winona is in grade school, preparing to celebrate her eighth birthday. She is the daughter of the local newspaperman which is a position of some prestige in Deep Valley. In honor of her upcoming birthday her father is having fifteen birthday invitations printed on his press and her mother is sending out the invites to the individuals of her choosing. What Winona seems to want most in the world is a pony for her birthday, and the ability to invite anyone she pleases to her party. She knows she's a spoiled child and always gets her way and so she believes for nothing but the pony and a successfully thrown party. In the end, she gets both. And I think we're supposed to think it's a cute story. Maybe it is. I'm sure some people love it. I just didn't. I found Winona bratty, spoiled and manipulative. (Not to sound too harsh there or anything.) She wants to have people over to her birthday that her mother didn't invite. When she asked about these additional individuals her mother expressly stated that fifteen guests were the max because that's how many invitations had been printed. But then Winona is given the idea that it might be ok to invite others to her party verbally and so she goes about extending verbal invitations without her mother's permission or knowledge. On the whole I found her mother very charitable when additional guests showed up. In fact, she had no choice but to be hospitable to all of her daughter's "surprise" guests. She made the best of an awkward situation and worked things out behind the scenes so that no child felt unwanted or uncomfortable at Winona's house, even though provisions had not been made explicitly for them. More than the party, what annoyed me the most was that Winona did, in fact, get a pony. She knew her father would give her whatever she wanted. She knew her mother didn't want her to have a pony. As a compromise behind-the-scenes, Winona's father hired a pony for the day which was a delightful surprise. The problems started up when the party was over and the birthday girl comes to the realization that the pony is not hers and she begins to throw a temper tantrum. At this point, her parents give in and they purchase the pony for keeps. It's not a evil story and I don't meant to make it sound like I think it is. I just found the character of Winona rather distasteful and didn't find myself enjoying it much as a result. Instead, I was blissfully glad the story was short, taking about an hour and a half-ish to read in its entirety. It's a light hearted tale (or, at least, it means to be) but we just didn't hit it off very well. * Sarah from Library Hospital didn't think it was Lovelace's best work, but she didn't dislike it as much as I did. She thought Winona spoiled as well, but also found the story comical. * She is Too Fond of Books admitted to feeling a bit differently about this story as a mother as she would as a child reader. Still, it prompted some conversation between her and her daughter and, in the end, she didn't much mind it. * Annette at This Simple Home thought Winona was "a bit of a brat at times" but still was able to enjoy the story. Manipulative is a good word for for her...in addition to brat. I have no desire to reread this one...or introduce M to it yet. And we have someone who likes Winona! 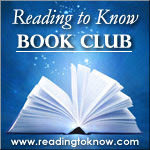 Check out Amy @ Hope is the Word's opinion on the book! Oh, and I did think it was interesting to see how Winona "turns out" in other stories. It sounds really odd that a child in a story like this would "get away with" having invited more people to the party than were supposed to have been invited (although I can understand inviting those whom the child wants to invite rather than the ones whom the mother does) and then get the thing she wants after a temper tantrum with no "comeuppance." I wonder what Lovelace's purpose was in this? I'll have to go read Amy's thoughts and see what redeeming value she found in it. Although, the thought did just come to my head that sometimes an author can portray that an action or a character is wrong by their actions without really spelling it out that they're wrong, and I am wondering if that is what MHL had in mind? To show kids that even if you get your way you come across looking manipulative and bratty? I dunno. UGH! That doesn't sound like a pleasant read at all. This doesn't sound like I would like this book at all. Of course, I'll have to read it anyway, though. :) I did actually grow to like Winona in Downtown, though. I was curious if this story took place before or after that book. Now I know before.